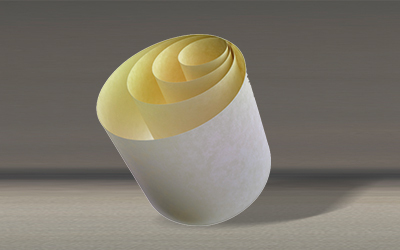 Nomex® Type 410 is a calendered insulation paper which offers high inheritent dielectric strength, mechanical toughness, flexibility and resilience. Also available in uncalendered variety (Type 411), for oil filled transform (Type 910). All products manufactured & supplied are in strict compliance with DuPont's standards. Nomex® 410 is available in 12 thicknesses (0.05 mm to 0.76 mm) (2 mm to 30 mm). Also available in uncalendered. Roll form of 914 mm, in slit form of 8 mm & above. Can also be supplied in pre fabricated components.